When choosing an insurance agent, you need to look at more than just the price tag. Lower costs don't always mean good coverage, and you’ll want someone with serious expertise to help your family if you ever need to make a claim due to an accident or loss. That's why it's important to select an insurance agent with care, and Randolph County Farm Bureau of Asheboro, NC, is here to help. Technical Knowledge: A good insurance agent will have outstanding technical knowledge and credentials. Agents with the following letters after their names signify their competence. Look for CIC, CPCU, ARM, or CRM. Each acronym has a different meaning, so ask questions about their experience, as well as the details of insurance coverage. Warm Personality: You'll also want to choose an insurance agent with a personality that clicks with your own. 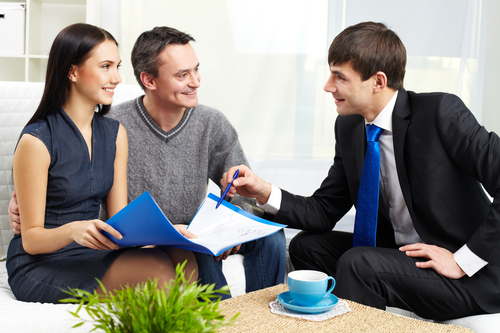 Aside from trusting your insurance agent, you may be looking for additional qualities. They should be easily approachable, and you may feel comfortable with someone who has a sense of humor. They should put you at ease, because you’ll want to know they care if you ever need to call on them in an emergency. Excellent Communication: Excellent communication skills and outstanding customer service are two more qualities to look for in an insurance agent. Once you have decided on coverage after reviewing various insurance quotes and have purchased your policy, your insurance agent becomes even more valuable. He or she should be checking in with you from time to time to see if there need to be any changes to your policy based on changes in your lifestyle. Seeking out these qualities when looking for an insurance agent will ensure you get the best coverage at the best price and receive excellent customer service in the long run. To get in touch with an insurance agent in Asheboro, call Randolph County Farm Bureau at (336) 629-9187, or see their website for more information.